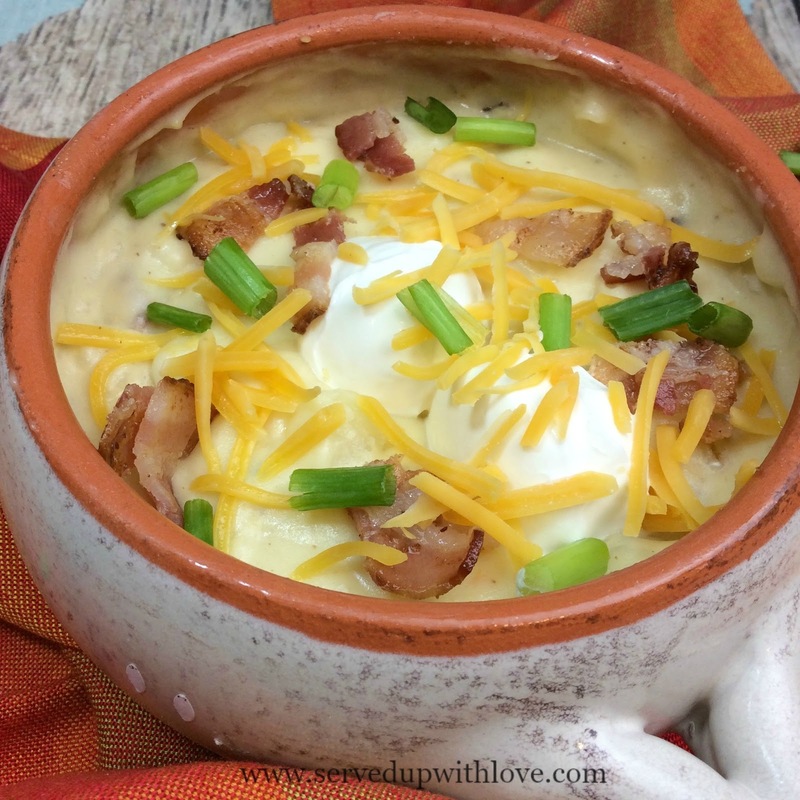 Now that it’s officially Fall, I am so excited to be able to make warm comforting soups like this Loaded Baked Potato Soup! Nothing beats a loaded baked potato in my opinion. 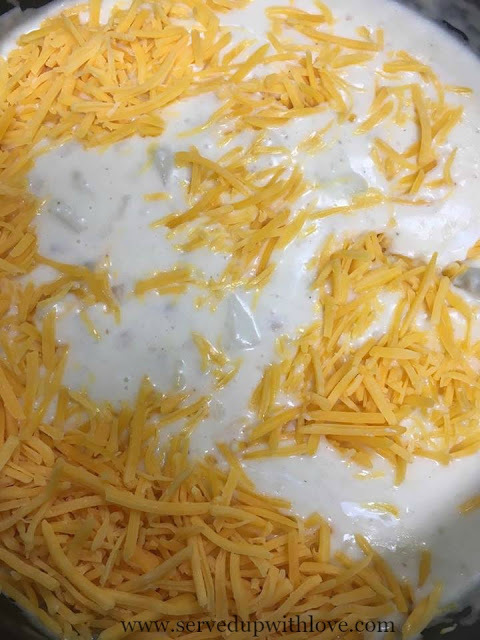 Except this Baked Potato Soup! Cheese, sour cream, potatoes, and bacon, what is not to love there. I am a soup kind of gal. During the cooler months I can eat a ton of soup and still be super happy. Now that fall is finally here I just know my stove or crock pot is going to have some form of soup cooking away at least once a week. 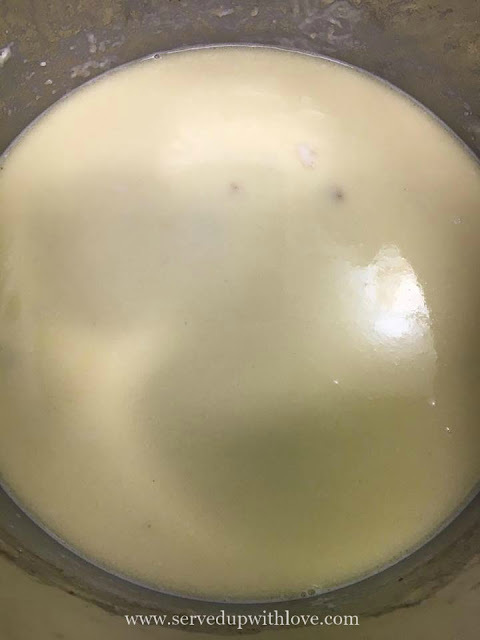 My normal go to recipe for potato soup is a recipe I created that is the closest we could get to my grandmas. 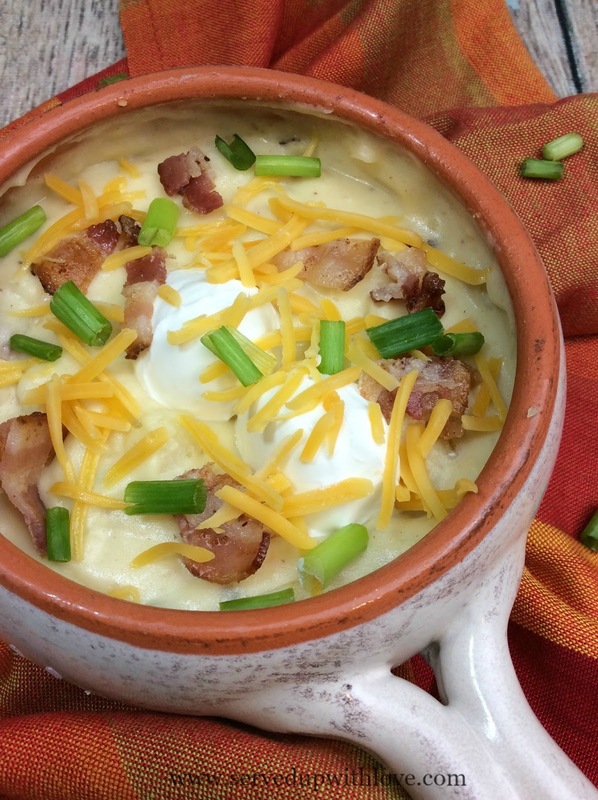 Crock Pot Potato Soup is like getting a hug from my grandma. It is so comforting and loaded with so much bacon flavor its crazy. This is soup and baked potato heaven! Cook your bacon to a crisp and crumble set to the side. Leave the pan on the stove on medium. Add the butter to the pan with the bacon grease. Now add the onion, garlic and potatoes and cook for 7 minutes. Take all of the items in the pan and place it in a large pot over medium heat. Now add the flour, salt and pepper and stir. Now add the chicken broth, milk and cream and bring to a boil. 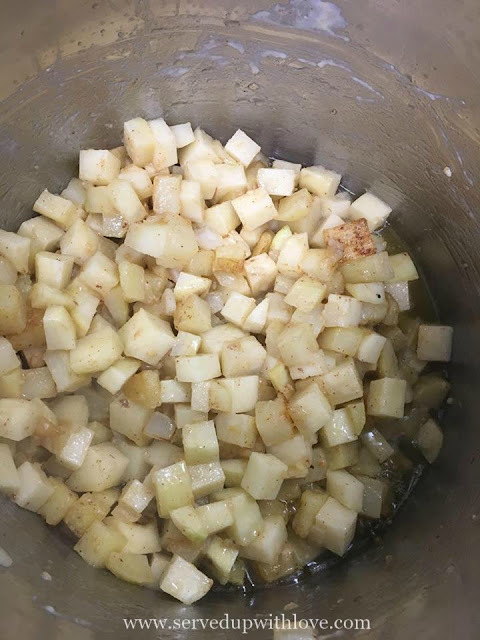 Turn the heat down and simmer until the potatoes are fully cooked. Cook for 25 minutes. Now add the cheese, sour cream, bacon crumbles and the green onions and stir to combine. Cook on low for another 10 minutes to combine flavors. Garnish with cheese, bacon and green onions. I LOVE potato soup. Looks so delicious! How well does this do for reheating? I'm single so I could live on this for a week reheating several cups nightly until it's gone. It should reheat well each night.